As I stood there gazing out past the golden prairie I could see it in the distance, another realm, another world, another planet. 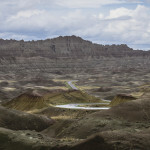 Badlands National Park, South Dakota..this is the stuff of storybooks. We felt as if we were on the edge of the world looking back at a world we knew and understood while in front of us was a future we knew nothing about. Do we dare cross over the golden prairie and into the unknown realm, clueless of what life, if any, exists in this vast unforgiving lunar land? Its moments, and places, like these that cause a flood of curiosity and send our minds whirling with questions, fantasies and possibilities of whats really out there. I couldn’t help but look up at the moon and wonder if this wasteland was a mirrored reflection or if this is possibly the closest I will ever come to standing on the moon. A tiny blue bird in the distance sings a gleeful tune as if the sun were shining, the grass were green and flowers were in bloom. Does this little bird of indigo know where he is? Does he see the same lunar landscape we do? In fact, these somewhat familiar animals all seem to go about as if nothing is out of the ordinary. Maybe we really are on another planet, surrounded by aliens and protected by our national parks pass. See, I told you our minds go whirling in places like this. You are allowed, almost encouraged, to go off trail and hike anywhere inside the park, so do it! There’s nothing like blazing your own trail, discovering things not marked on a guide map and feeling really out there in it. Just don’t forget where you came from. 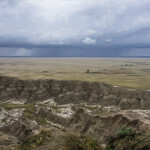 The moody clouds and storms treated us with a solace and otherworldly experience, but it was an extremely slippery one. The seemingly hard clay turns into one giant slip and slide! 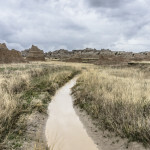 Miles of pooling water and small rushing rivers form in what seems like minutes. 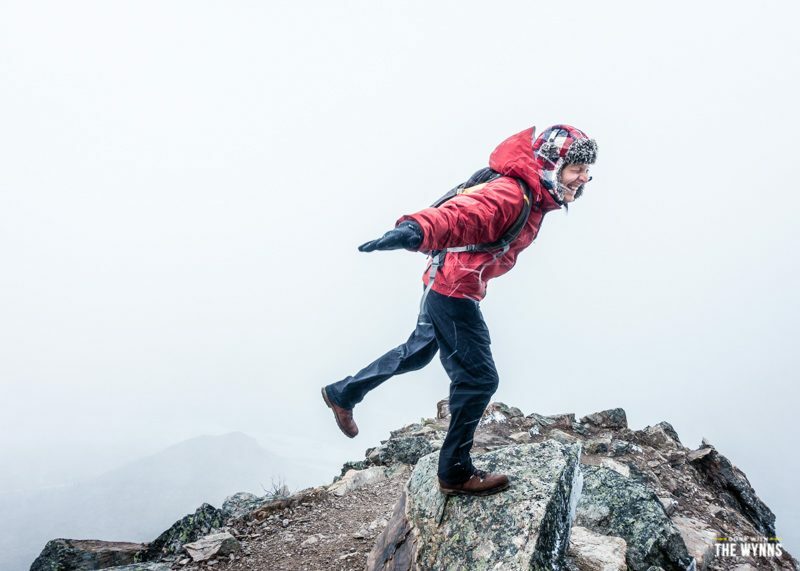 So be prepared to get wet, muddy and be mindful of where you hike down, because you may not make it back up. 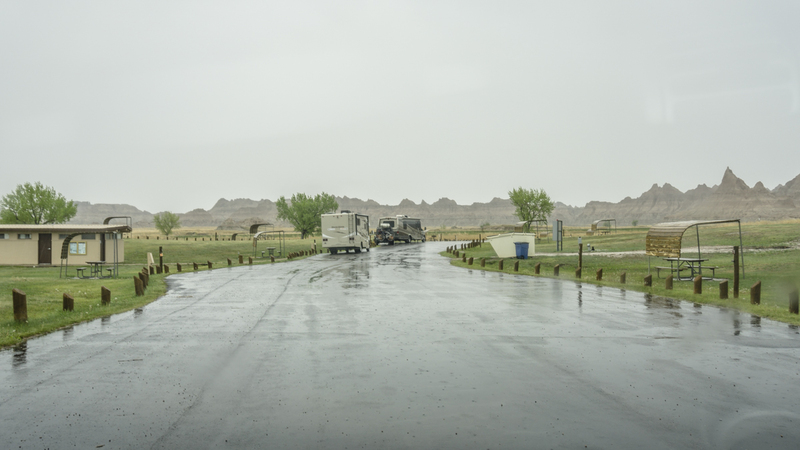 The Cedar Pass campground ($18 dry or $30 full hookup) near the visitor’s center is closest to the main attractions so you may want to spend half your time camped here. Then we suggest heading out to the Sage Creek campground (free) for a totally different experience. It’s about an hour’s drive from the visitor’s center on the opposite end of the park. It is Wild Camping with no services but they do have a vault toilet, a trash can and recycling! We had decent cell/data service near the main areas of the park closest to the visitor’s center. Outside of that, service is in-and-out unless you have a cell booster. This was especially the case at the Sage Creek campground. Without our booster we had zero bars of cell service and no data, once we amplified the signal with our booster we had 3 bars 4g and were able to stream Netflix! It never ceases to amaze me when we go from Zero to Streaming when we’re Wild Camping, thank you technology! For those that have been asking about what cameras we use, this is for you: These photos were all taken with our new sony action cam (because it’s water proof) and sony a6000. We’ll have full reviews soon but so far both have been worthy additions to our documenting arsenal and we’ve added both to our store if you want to check them out. 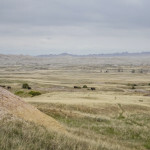 Have you been to Badlands National Park? 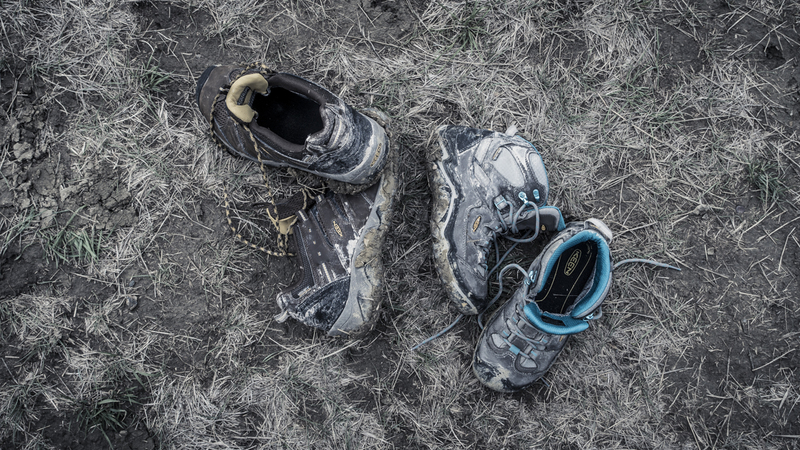 Do you have a favorite hike, memory or tip you would like to share? Have a question or want to know more about our experience? Let us know in the comment box below!  I am enjoying your pictures and blogs as much as everyone, and my wife and I are going to be soon doing the same in a few months, and one of our biggest questions is, what service do you use to stream Netflix, we have Netflix, but with Verizon, it will kill our data in just one Netflix show..?? We plan on getting a Booster, and a Wifi booster too… I guess if you can connect to a free WiFi you can stream all you want….  Thank you for your advise and help on the Map info for my new blog. Mapify pro…. Mark and Jodi… Happy Camping!! Thanks guys! If you use the promo code: mapwiththewynns when checking out on mapify pro it will get you an extra 15% off! Headed to that area in June/July. Picking up our new Escape Travel Trailer in British Columbia and then learning the ropes of RVing while traveling this beautiful country. Wish me luck. Thanks for the great post. Love your blog and was fascinated by the suggestion, you can roam anywhere. However, I often have a hard time finding where I parked at the grocery store. Do you have any (technology) suggestions to make sure you can find your way back? Thank you both for all you do. 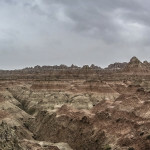 We had the great privilege of visiting the Badlands years back. But we came in from the West, from S Dakota. So unusual. 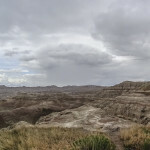 But my most memorable moment was when we were planning our trip that my Mother-in-law said that we definitely had to see the Badlands- that area was a Must -See. She was so excited recalling the first time that they saw the Garlands, trying to describe the terrain – how the landscape is flat & then all of a sudden the land becomes- uh , uh -she ended up saying that they were – just- just BAD!! 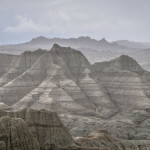 Your description of the Badlands as a lunar landscape is the Best Description I’ve ever read! Sun was shining when we were there & the Colours in the rocks were Awesome!! 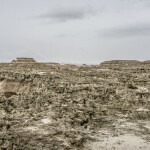 We totally missed the Badlands back when we were in that area in our first year. I’ve been kicking myself ever since! This was a fabulous round-up of the area. LOVE the pics! Nina, I think you would love it here, especially the wild campground. Next time right! 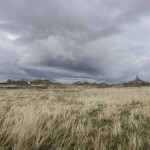 Great shots guys, without you in the picture there is no perspective on the immensity of the land. Check out Drumheller dinosaur museum on your way home , very classy and fun to visit. The vastness of it all is amazing. Depending on where you are in the park, it looks like it goes on forever! 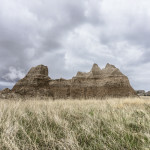 I love the Badlands! It was here nearly 20 years ago that Idecided I wanted to camp under the stars here. Right now I’m doing it vicariously thru you two, but mark my words I will do it one day. On the drive out of there south heading back to Colorado at night, my son lying in the back seat was amazed at all the glow bugs……they were the stars. It took my breath away. Truly Amazing! Thank you for taking us all along for the ride. We get so excited at each new email from your guys! We hope to be able to make that trip one of these days. You guys never disappoint!!!! Well, thanks so much for the glowing kudos! Glad to hear we’re a bright spot in your inbox and I really do hope we see you out here camped next to us one day! What cell provider do you all prefer over another when in these parts of our country? Is there a type or style phone you feel is durable? 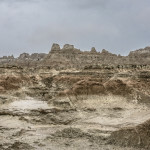 Sadly, we are leaving the Badlands today. Suggestions: definitely go off trail! 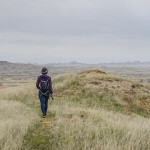 We were hesitant at first, being a national park and all (leave no trace), but then we remembered that the ranger had said “go wherever you want!” Our first full day here we did the Notch Trail. You have to climb up a 70 foot ladder but it really wasn’t that difficult so don’t let that stop you. My kids took off a few times and went climbing a bit and had a ball. Spectacular views at the end. 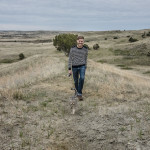 My son and I took off yesterday looking for prairie dog town. 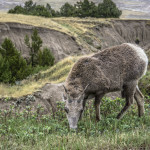 Along the way we saw multiple families of big horn sheep on the side of the road and even a few bison. The prairie dog town was fun for us – just stay still and listen to them “talk.” very cute… It’s a bit off the main road – follow a dirt road about 5 miles – a little rough, but worth it I would say. Great work on the photo styling. Love how you use subtle low saturation to work with the stormy weather. We love watching you guys get better and better every time!!! Damn good! Thanks for the love! My editing skills are amateur (especially compared to you guys) but I do take the time to learn a few new tricks here and there. as well as the pictures.I really enjoyed the whole article.Keep the good work. 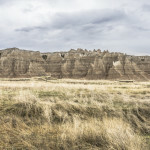 The Badlands are spectacular! We were in awe when we visited. Yes it is like the moon probably. It is something I will never forget. Thank the Godess it didn’t rain when we were there. Great photos as always you two. Safe travels! We were fortunate to stay at the Sage Creek Campground last September. 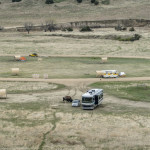 The area was beautiful and the buffalo sneak right up on your campsite. 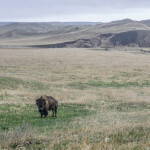 We were watching stars one night and looking over to the side of our tent I said, “Is that a buffalo?” My husband didn’t believe it, but at that moment it moved and we realized that two buffalo were only about 20 feet away! We quickly got out of their way as there are many stories every year of people getting too close to the wildlife. They didn’t bother us and were only scared off when a late night camper arrived and shined them with their headlights. We will now and forever call them ‘ninja buffalo’. We had some of the best views of shooting stars that week. This would be a great place to bring a telescope. It was by far, one of the most peaceful, yet exciting, camping experiences we have ever enjoyed. The visitor’s center has a great video which I would recommend watching if given the chance. It explains some of the more interesting history of the area. 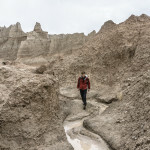 The way the Badlands makes one feel is very hard to put into words. I’m glad you were able to visit. “Ninja buffalo” is about right! They are so quiet it is easy for them to sneak up on you. I felt pretty safe in my RV but a tent would be really exciting! This is Evelyn again. I also consider your kitties my adopted grandkitties, so really that’s 4 of you that I worry about. Be safe! Evelyn, way to put on the pressure! 🙂 Glad you are with us and watching over us. Lots of love from the road! 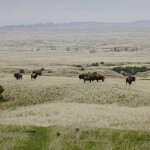 We are going in just a few weeks to South Dakota, staying near Sylvan Lake in Custer State Park. 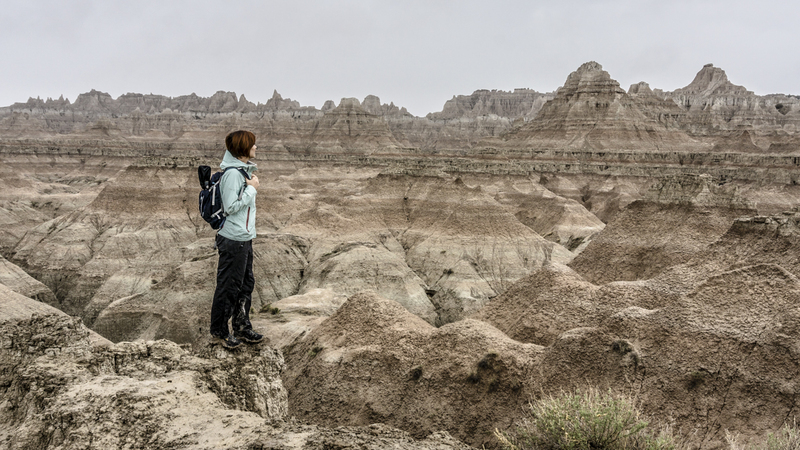 We plan to make a day trip to Badlands NP and would love to know more details, like which entrance, which visitor center, recommended trails, recommended view points, etc. Totally excited before…now super stoked after viewing your pics! Beautiful! 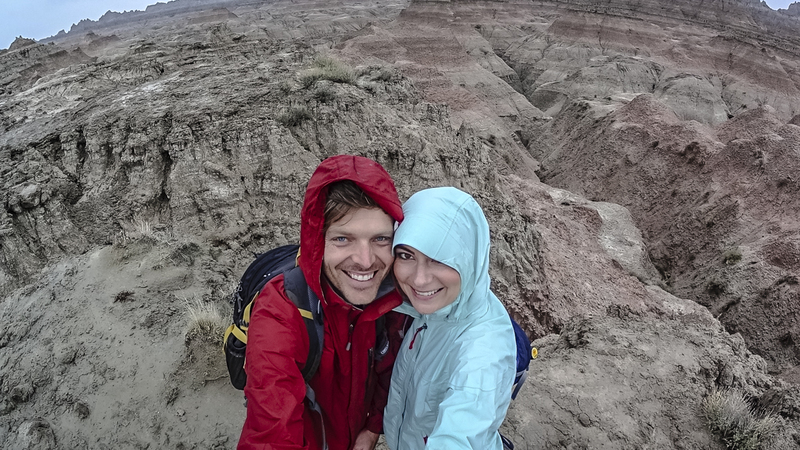 We too were entranced with the Badlands! We were camping (in a tent, for heaven’s sake!! ), and took a helicopter ride one morning – thrilling and a wee bit scary. Be sure and take advantage of the Park Ranger talks, too. The one that hangs in our minds is one we attended after dark. They told us we were going on a walk to a rock ampitheatre to hear the story of two adult sisters who came to this area maybe 100 years ago. 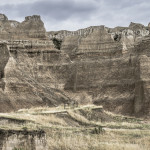 What they didn’t tell us, and it was so wonderful, was that we would hear their story as a play, right there in the red rocks of the Badlands: a terrific, unexpected experience! Glad you’re loving it, too. What a place. Awesome tips and story, thanks for sharing! That would be an excellent spot for a helicopter tour splurge (now on my list for our next visit)! I was there in August of 2010 with my sister. We were on a time crunch so did not have the opportunity to go off trail. None the less, your words and pictures took me back to a wonderful adventure. If you go back, I highly recommend the pioneer sod house near the East entrance. Love you guys! Safe travels to Alaska! Hey… Wait a minute. 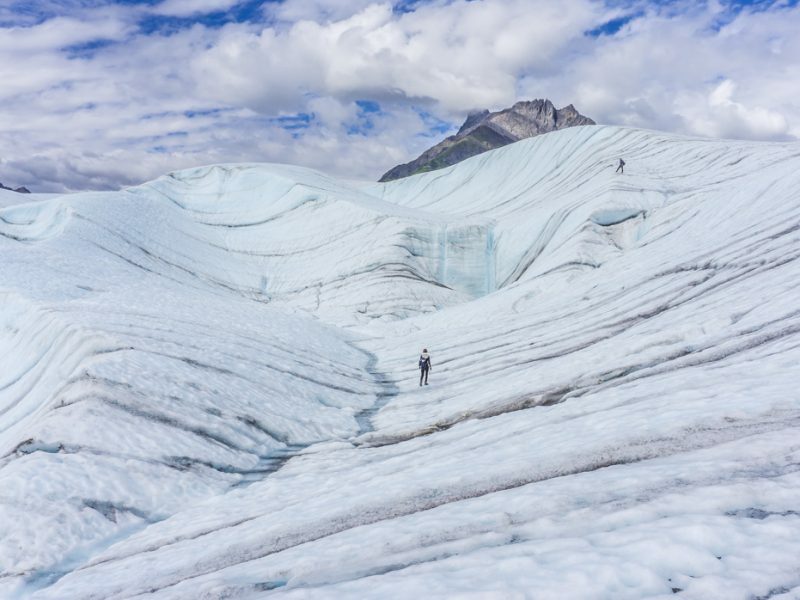 A few days ago, you were in Banff, and headed northwest to Alaska. From Banff, Badlands is definitely not on the way to Alaska. Anyway, out of sequence or not, I do, as always appreciate your posts about equipment specifics, campsites, and relevant location advice. Next time you two are lonely for your moon landing experience, try Joshua Tree National Monument (Park) in southeastern California. It’s quite stark. I’m still shopping for a 30-33 foot class A, and would be VERY interested in any remarks about how the V-10 engine transmission chassis works up and down the mountain grades, compared to your former diesel coach. Keep up the good work! We appreciate it. Nope, not Canada. The post is tagged South Dakota, so must be out of sequence from real life. 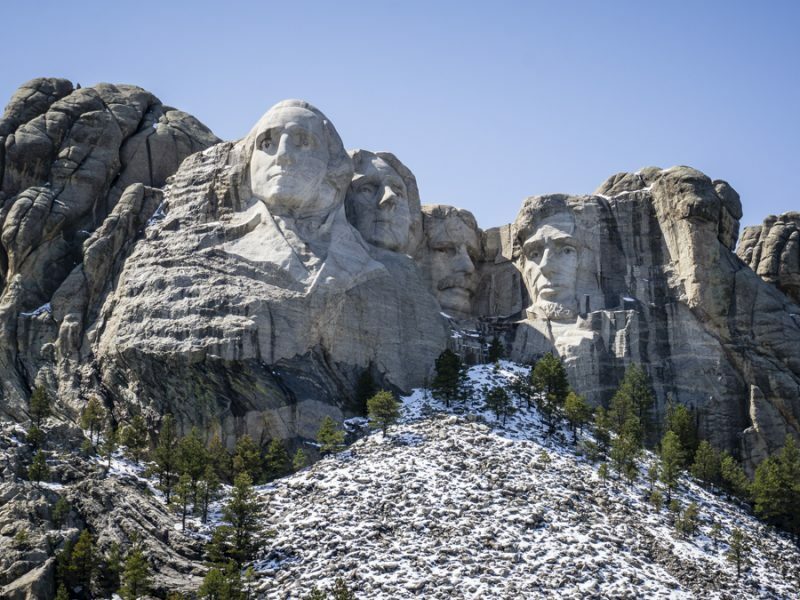 You got it, it is South Dakota. We don’t cover every place we go or everything we do in a chronological order. Especially because of videos, they take a lot more time to put together so we create as time permits and whatever we’re feeling inspired to put together. Wholly smokes Nikki. When I saw the pic of the bison in your camp and then the pic near your MH I thought you guys were going to be in an insurance company commercial. Hope all went well with no damage. Ha ha, I was a little nervous he might use our car for a scratching post! Luckily we have really good insurance so I wasn’t too nervous. However, it would have made for one heck of a story! Excellent writing, your words drew me in (same with the photography). Fantastic adventure, we’ll add it to the bucket list. What a small world. 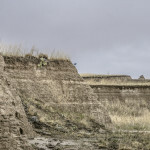 We were in Sage Creek CG just last week and stayed in the very same spot as shown in your photo. It rained the day before we left and we barely made it out due to the mud. We’ve been following your blog for a couple of years now and thoroughly enjoy it. Well, great minds do think alike! Also, glad to hear we weren’t the only ones covered in mud! Always pleasant to read your adventures and I look forward to others in the future. However, was this a missed opportunity to speak to the Bounders ability to handle “dry” camping? Where are you at with your MPG ratings? Is the Onan generator capable of powering your equipment while dry camping? Given the mostly sun drenched days in the badlands, I thought it was a premier chance to speak about the Bounder’s “soley configured for your needs” solar capabilities. Speaking for myself, your appeal is derived from your ability to mix in snipits of your travels, and nicely intertwine the mechanicals, electrical, and handling characteristics etc, etc…of your then Excursion, and now Bounder. Providing just three stills of the Bounder, doesn’t do this golden opportunity you’ve been given by Fleetwood any justice. You both are such neat people, I just hope you don’t vear away from the informative RV videos you’re well known for. We will get to that type of information in other posts but thinking technically like that just wasn’t on my radar. Sometimes its fun to disconnect from the technical stuff and just focus on the beauty of a place and get lost in it. Not everything is always about the RV. But to answer your question, our Solar was still pulling in amps on those cloudy days and our lithium is just mind blowingly awesome! We didn’t need the generator and had power to spare. What booster do you use for data and cell service? I’m looking at your photos and they were very nice, but my question is how did you get so close to taking the photos without being attack by our lovely animals in the photos. They came very close to the RV and your car. Did you have to wait a long time before you were able to go back into your RV? Ha ha, they are all grazers so they keep on a moving and don’t hang in one spot too long. So we were able to get back in the RV after a few min. Must have just missed you guys. 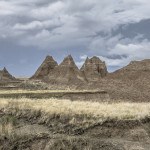 I was in Badlands this past Thursday (2nd time). I went through after renewing my SD drivers license and van registration (I’m a vandweller) in Rapid City on Wednesday. I also stopped by Americas Mailbox to pick up some mail and take care of some other business. They are my SD address and mail forwarder for the past five years. I cut through the center of the park this time to head down to Nebraska. How to cross paths one day. Safe and happy travels. We did just miss you by a hair! Next time! Awwww, so beautiful!! You inspire me so much! We need to get one of those boosters, because I really want to do wild camping. My husband works from the camper, so we always go places that we have good cell service. Someday we’ll get one! Boosters are not that expensive considering the extra freedom they provide. Maybe someone has a birthday coming up? I can remember thinking, as we drove through that area, that I really could picture the dinosaurs roaming about! For sure! It is like the land before time! W O W…that is some awesome Space!! thank you.. Truly AMAZING!!! Thank you so much for making it possible for us to ride along:) I get so excited when I see the next email show up in the inbox! Hope Julie and I are able to make that trip one of these days..
You guys never disappoint ! Thank you for visiting our beautiful state…we believe we are the “land of infinite variety.” Come back and visit our other treasures! Both you and your husband have given me the boost I needed to purchase another RV after being away from them for over ten years. I purchased a 2011 Vesta. So you know I started following you guys when you had Wendy. That’s awesome! We did love our Vesta and still think its the best looking RV ever!! !